The smartest way to build a solid business relationship with an overseas client is to use professional translation and interpretation services. Nonetheless, there is significant benefit to learning a foreign language; even knowing a few phrases can go a long way in developing a business relationship. Certainly the best language services firms pride themselves on conveying your company’s culture, message, and energy accurately, but there will always be a divide due to language differences. Further, on the chance you’ve selected an interpretation company that doesn’t truly meet your needs, a basic working knowledge of the target language can help you and your colleagues realize when the message isn’t getting across the way you intended. Outside the business arena, studies have shown that learning multiple languages is healthy: it’s good for the brain, sharpens memory skills, and can even slow down the onset or development of Alzheimer’s Disease and other forms of dementia. Plus, if you speak or write often, learning a second language invariably increases a foundational knowledge of your own language, which makes you a better communicator. The following are 7 evidence-based reasons you should learn a second language, regardless of whether you’ve found the world’s top interpreters or not. Your brain will grow. Really! Scientists used to think that the brain was a finite organ; once it was fully grown, there was no way to improve it. Now, we know that the brain is “plastic” and that with practice, exposure and certain life experiences, the human brain can continually grow new nerve pathways, which maintains brain function.Learning a foreign language is one process shown to have this effect (others include learning to play an instrument or picking up a new hobby). In an article published in Neuroimage, researchers’ results “confirm structural changes in brain regions known to serve language functions during foreign-language acquisition.”Picking up a new language will provide you with those same benefits. Slow down the effects of dementia. Dementia is an age-related disease and it used to be considered an almost inevitable effect of aging – especially if your parents or grandparents had developed it. Now we’re learning that certain things can notably slow down its progress, or even prevent it. These include factors like maintaining both physical health and an active lifestyle, regardless of your age. However, researchers have also found that lifelong bilingual speakers seem to have an added level of protection from Alzheimer’s Disease and other forms of dementia. 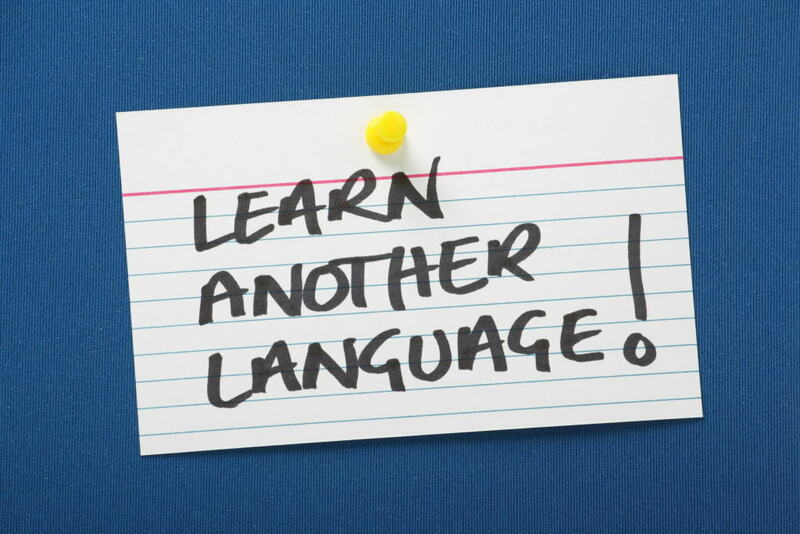 The earlier you get started learning a second language, the better. Increase your memory skills. Do you feel like it’s too late to jump on the “lifelong bilingual speaking” bandwagon? Do not despair. Learning a second language also improves memory skills – especially those involved with executive tasks, at any age. You’ll find that the mental exercise required to learn new vocabulary, syntax, and conjugations will boost your mental acumen in other areas of your working and personal life as well. You’ll be a better multi-tasker. The business world demands high-functioning multi-taskers. It’s imperative that you review important documents, reply to an email and jot down calendar notes – almost simultaneously. The mental mechanics required to switch from one language to the next are similar, which is why bilingual students are notably better at multi-tasking than their monolingual counterparts. Cultivate new ways of seeing the world. Learning a second language provides deeper and more relevant insight into other countries, cultures and the world at large. For this reason, those who speak multiple languages tend to be more broad-minded, and see beyond black and white. Learning a second language can also help to experience a richer and deeper perception of the world around us, as evidenced by research presented in The Case of the Japanese Blues. Become more employable. In the chance that you find yourself changing careers or companies mid-stream, familiarity with a foreign language can improve your hiring chances. Consider that your competitors are trying to break into the same global markets you are, so working knowledge or familiarity with a particular target language will make you a more attractive prospect to employers. What are you waiting for? Crack the books, audio CDs, or digital files and start learning a second, or third, language. Your foreign business associates will greatly appreciate your efforts and that one small gesture could be enough to help your company stand out from the crowd.